By participating in the Dos Manos School Programme schools all over Mallorca are taking action to protect the Balearic Sea while shaping an environmentally conscious and proactive young generation. 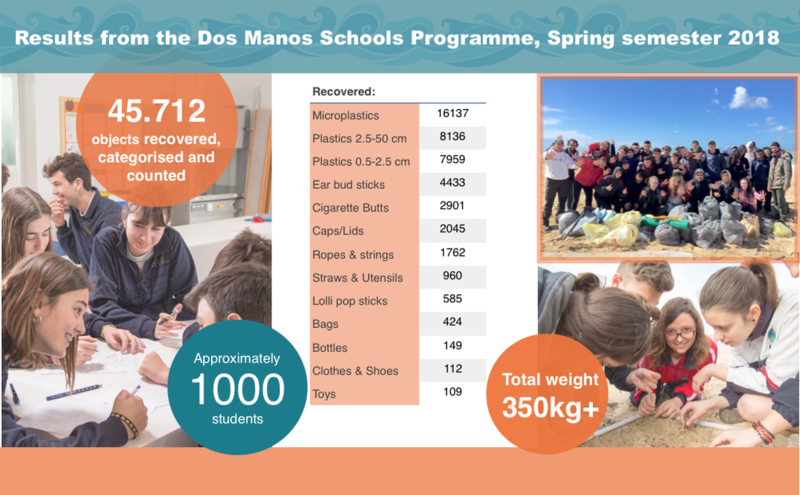 Our Dos Manos Schools Programme explores the issue of plastic in the marine environment and the effect this has on our marine life and ourselves. It is offered to local schools with the aim of reaching and engaging as many students, teachers and parents as possible with marine conservation, ultimately helping to shape an environmentally caring and proactive local population and future generation. The programme is offered in English, Spanish and Catalán, and comes in two versions: one standard version which includes three sections for students aged 15 - 18 years, and a Junior version including one section for students between 10 - 14 years. During the programme we look at the impact of plastic pollution on marine ecosystems, the connectivity between human behaviour and the marine environment, and our responsibility for it. It is a hands-on programme during which the students do a local excursion and conduct a Dos Manos beach clean up. They undertake a scientific survey, analyse their results and discuss solutions to local problems. The programme raises awareness and promotes reflection on how we can replace or re-use plastic to limit its demand in our everyday life, as well as how we can prevent plastic from ending up in the environment. It inspires and empowers students to find innovative solutions to common problems caused by plastic pollution. "What I liked the most about the programme is that it´s giving young people the opportunity to help, encouraging them to create new projects and giving them hope, helping them to believe in their ideas and to know that they are possible." - a 15-year old student from Pius XII, after the last section of the Dos Manos School Programme. As part of the Dos Manos school programme, students contribute to citizen science by gathering scientific data on plastic pollution on their local beach. Below we present their joint results from the period January - June 2018. 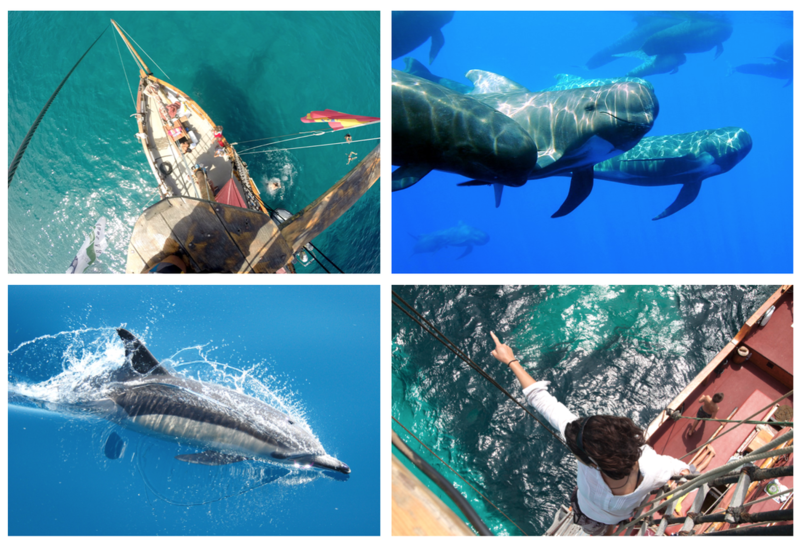 Win a week onboard a research vessel! Participants in the Dos Manos Schools programme aged 15 - 18 years will be encouraged to participate in the new, exciting “Changemakers At sea” competition, developed together with the marine research organisation Alnitak. 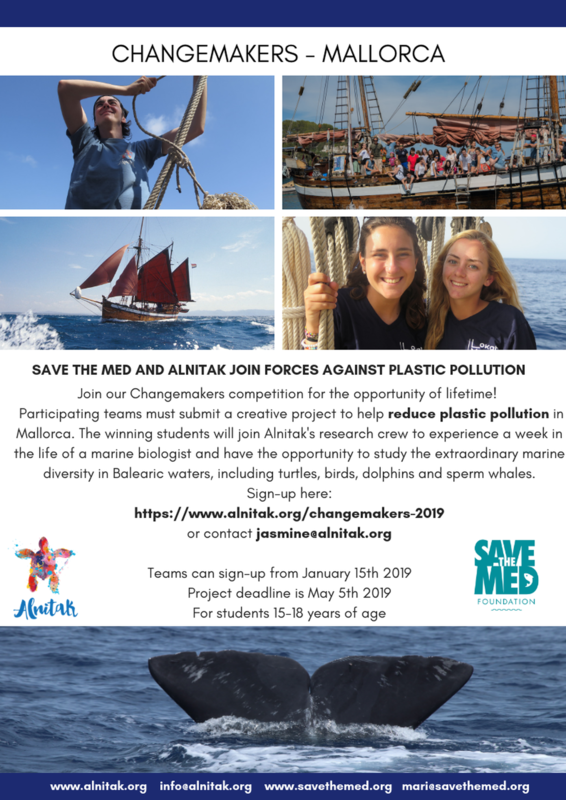 By working in groups to develop solutions to the issues of plastic pollution students have a chance to win a week onboard Alnitaks beautiful research vessel, studying whales, dolphins, turtles and plastics in the marine environment together with an experienced research team. Learn all about the competition and how to sign up at here! Deadline is 5th of May 2019. Contact us to learn more or bring our Dos Manos Schools Programme to a school near you. "Thank you! This has been the highlight of 20 years teaching! The team work, the passion, everything has been incredible! The students were up close with 20 dolphins and a sperm whale seen three times between dives!" - Heidi, teacher of Lokahi Makai, the winners of Changemakers At Sea Competition 2018.